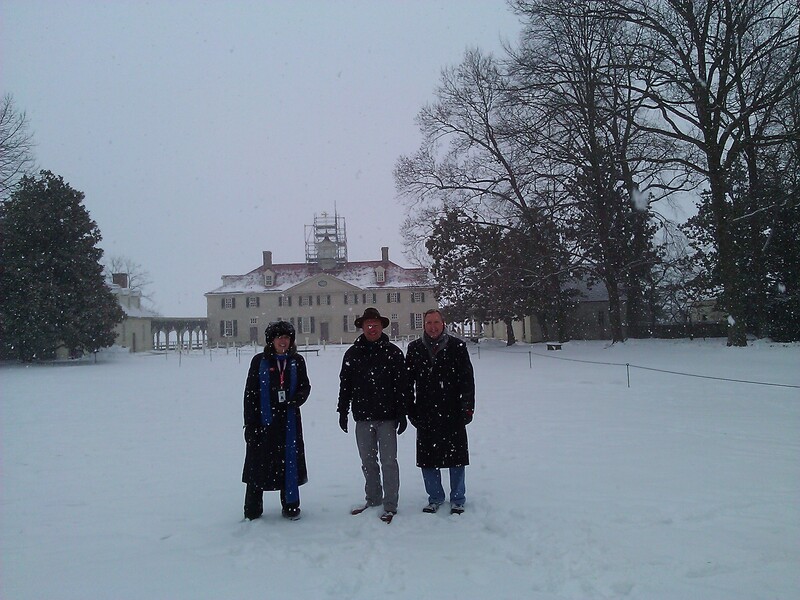 I’m fortunate to live near George Washington’s restored estate, Mount Vernon. I’ve visited in all seasons, in the spring to see the mules, at Christmas to see the camel and taste the chocolate, in early summer to see the farm site, and in the fall to bring a visitor from England (He was going to see it whether he wanted to or not!). Various friends employed there have taken me into the basement and into the cupola, places rarely included on public tours. But a recent magical visit will remain etched in my memory for many years to come. I attended a two-day retreat for a project I’m passionate about, the History Relevance Campaign, with people from around the country who I deeply admire and respect. Our hosts graciously included tours of the estate and the new library building. We got to see a reproduction of one of the Estate’s prized possessions, a recent auction purchase which reached into the millions. 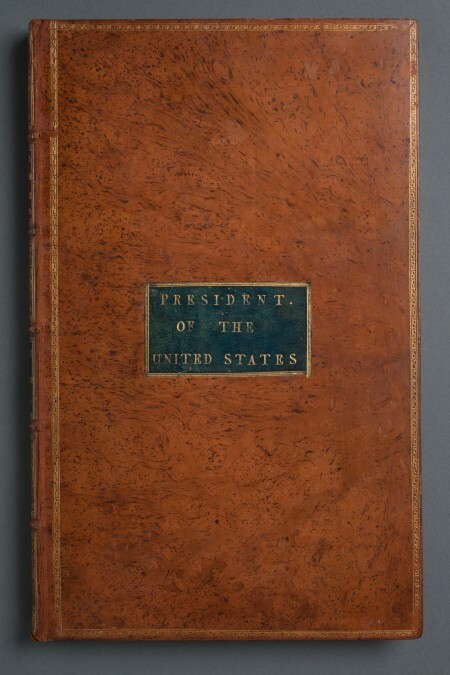 This rarest of documents is Washington’s personal, marked copy of the Acts of Congress which essentially told him, as the first American President, how to do his job. His signature appears inside the cover, the bookplate features the family coat of arms, and faint scribbled notes dot the margins. Apparently Washington rarely inserted notes into books, preferring separate sheets of loose-leaf paper. I didn’t care that what I saw was a reproduction, knowing the real object was in a vault nearby was satisfaction enough. The quiet house revealed interesting changes since my last visit. 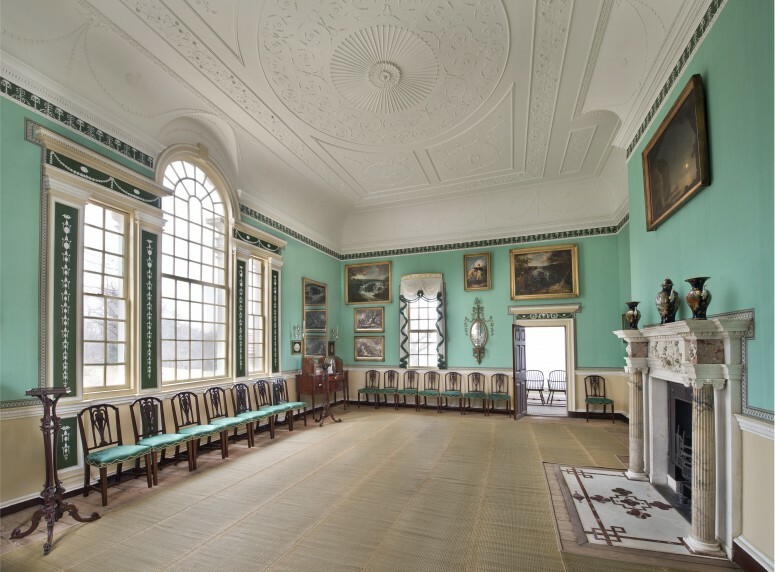 The “new” room was no longer a dining room but a bright bluish room reinterpreted as a grand 18th century saloon, a formal place designed to make a statement to guests: an ornate marble mantlepiece and porcelein vases, gifts from an English merchant, and large paintings of American rivers helped to create an art gallery effect. The record-breaking cold temperatures meant the snow that fell on the second day of our stay was light and fluffy. Undeterred by the weather, two colleagues and I followed an excellent guide in the swirling snow for a tour about life on the estate beyond the house. 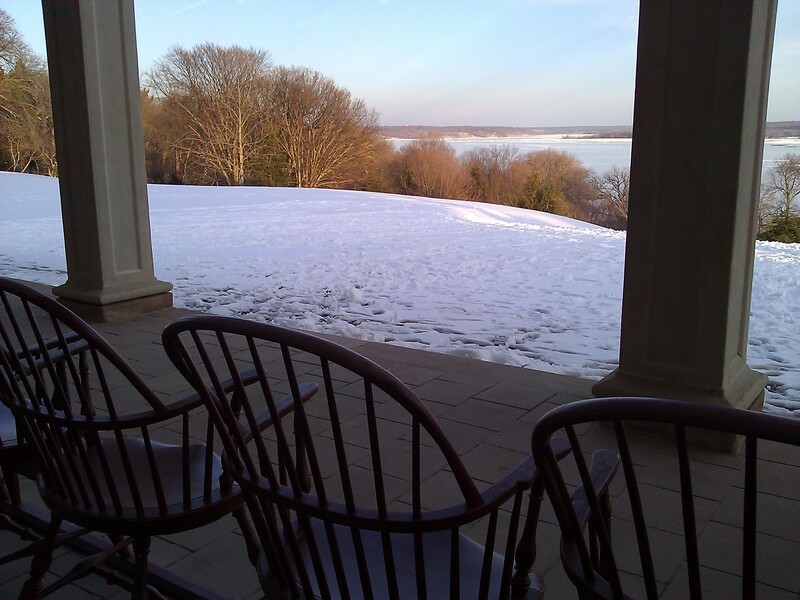 The Potomac River down the hill from the mansion was frozen. The place was virtually empty, a rare treat given the hundreds of thousands of visitors annually. We saw trees planted during Washington’s lifetime and talked about how Washington created a grand drive that offered a dramatic entry for his guests, with calculated views of the mansion. We traipsed to the experimental gardens near the house, now covered in snow. We talked a lot about what life was like for the many enslaved people who called the place home. 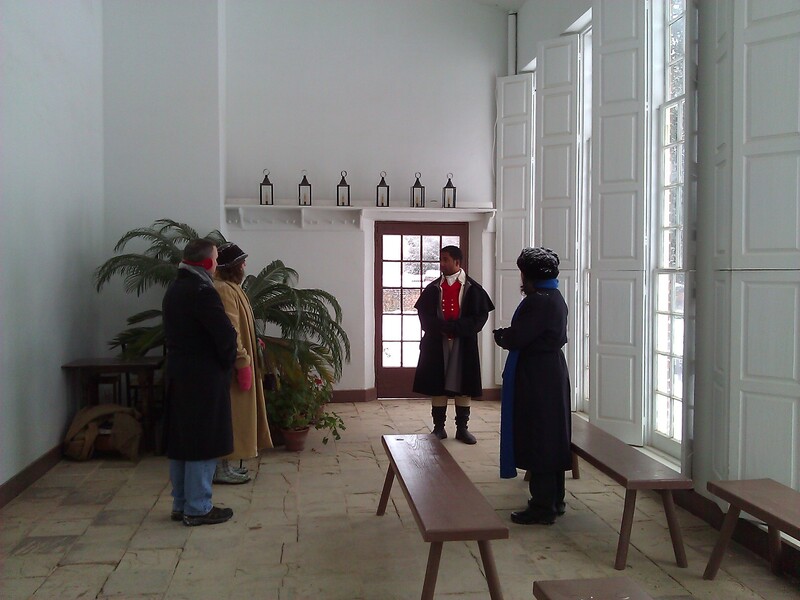 We stopped at the greenhouse, where we encountered Washington’s valet, Christopher Sheels, played by an excellent actor who greeted us in the first-person. Having discussed the relevance of the past for two days, I asked our guide which one of the many Mount Vernon treasures on display speaks to Washington’s relevance to today. 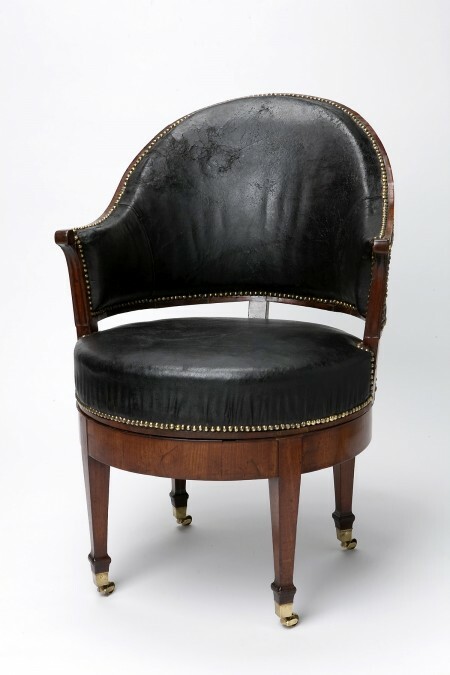 Without hesitation she said “the chair.” Washington purchased the chair, a black leather upholstered swivel chair, from a New York cabinet maker a year into his presidency. He used it the rest of his term as president. And, she stated, it was in this chair that he made the decision to step down as president after two terms. With this knowledge, an ordinary chair took on power. I’ll always remember the snow and the freezing weather, but also Washington’s copy of the Acts of Congress and his leather chair, a document and an object imbued with the power of the past, able to serve as tangible examples of the relevance of history to our lives today. This entry was posted in 18th century, house, President and tagged Acts of Congress, George Washington, Mount Vernon, VA. Bookmark the permalink. What an amazing opportunity. Thanks for sharing. Inspiring to read your account…the layered meanings of the chair echoed in the snowy vista. Thanks! such a great extended adventure to all you had already experienced at mt. vernon. your post made that place seem even more real to our life here in dc. Very inspiring account of the tangible effect of the relevance of history. Supremely relevant indeed !! From one history geek to another, well said sir! Place evokes such powerful memories and emotions. I have just recently written something for Reach Advisors Musuems R+D highlighting how historic sites (such as Mount Vernon) offer truly multi-sensory experiences, supporting their research on the memories that stick longest with visitors are artifact-based.